Overview: Set up on the 4x5 grid. 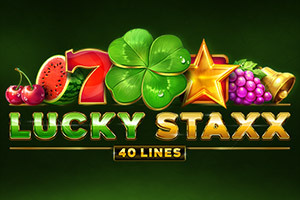 Features: luck–clover symbol that land in stacks on the reels and act as Wild symbols substituting other symbols increasing chances of winning. Stacks of fruit symbols and Star-Scatter symbol, which triggers winnings. Clover symbols land in stacks n the reels and act as Wild symbols substituting other symbols increasing chances of winning. 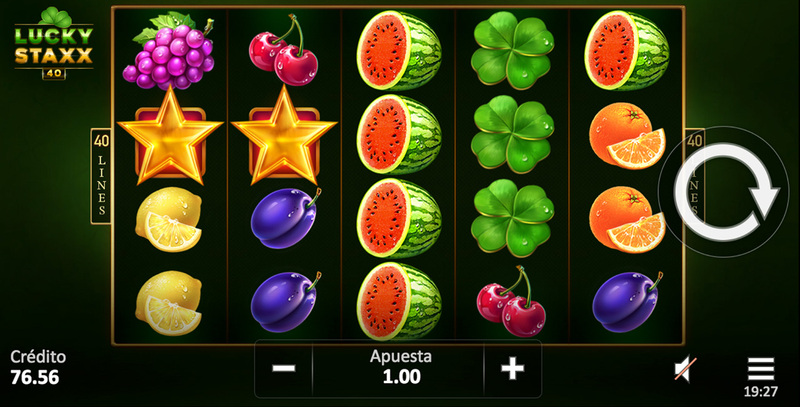 The slot also features stacks of fruit symbols and a Star-Scatter symbol, which triggers the win regardless of pay lines. Having 40 lines, this slot makes everyone a lucky winner! Wild symbol substitutes all symbols except Scatter. Wild symbol appears on the reels 2, 3 and 4 only.